UNFURNISHED ANNUAL RENTAL in Rio Vista. 3 Large bdrms all w/full baths, plus 1 half bath. Beautiful Rio vista is close to Ft. Laud airport, Las Olas Blvd for fantastic shopping & dining, quick drive to beach and walking distance to area park. 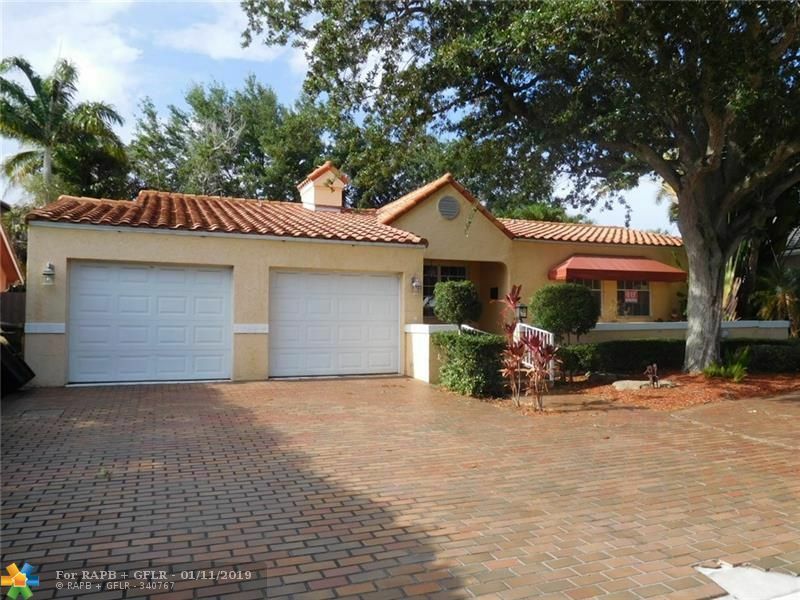 Granite & stainless kitchen w/6 burner gas range, formal dining rm w/built in china cabinet, sunken family rm w/french doors leading out to private tropical backyard and a 2 car garage. Master suite has 2 HUGE walk in closets! Living rm has wood burning fireplace. Wood & Mexican tile floor throughout - no carpet! Pets considered with pet fee. TENANT PAYS $35 SCREENING FEE. CALL TODAY! Directions: Federal Highway To SE 7th Street, Turn East At Light, Right On SE 9th Ave, Right On SE 10th Street To Property On Right.